Located in central Ohio, the charismatic Licking County is often over-shadowed by its neighbor to the west, Columbus in Franklin County. With several unique communities, including Newark (the county seat), Pataskala, Johnstown, Granville, Hebron and Buckeye Lake, Licking County welcomes visitors to stroll their charming downtowns, shop at locally owned small businesses, peruse local art galleries and exhibits, indulge in delicious locally crafted meals, sip on delightful Ohio wines, learn and preserve Ohio’s history and enjoy the appeal of a Midwestern getaway! 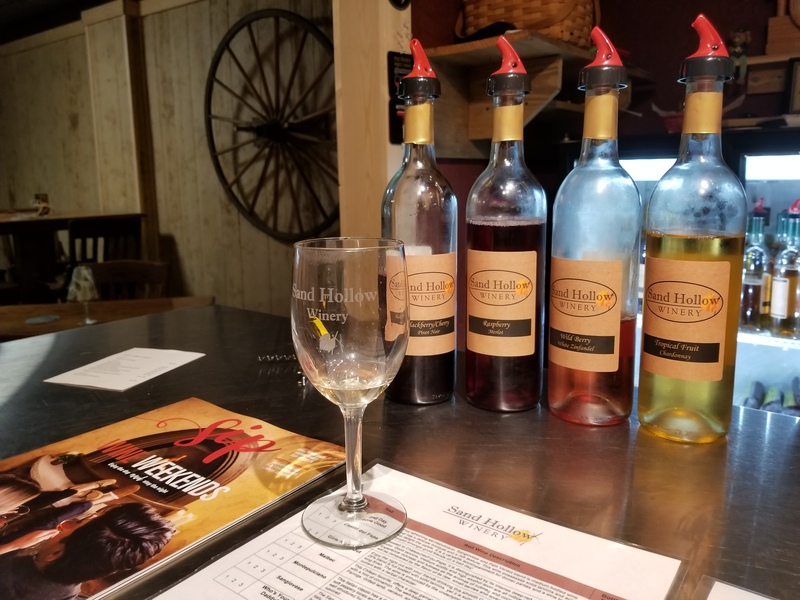 A visit to Licking County makes for a welcoming Ohio getaway, here is my weekend getaway guide showcasing where to stay, what to do, where to eat and drink, where to shop and where to explore the outdoors in Licking County, Ohio! 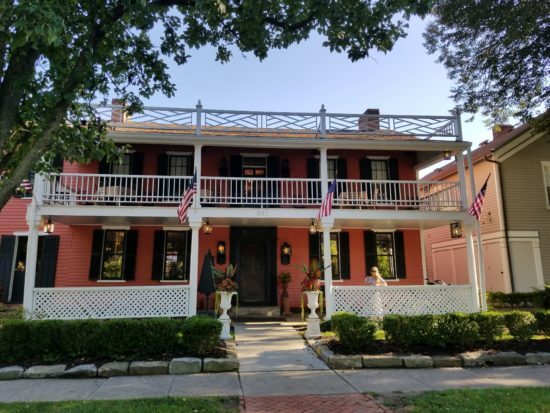 From chain hotels, cabins, boutique inns to bed and breakfasts, Licking County has plenty of accommodation options for your weekend getaway! We stayed at the Granville Inn located in the heart of Granville. 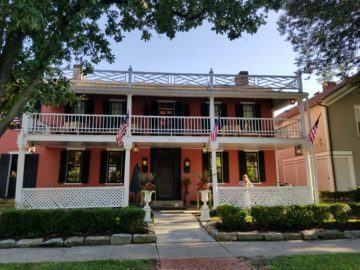 Built in 1924, this lovely Inn welcomes guests with old-world charm and updated contemporary guest rooms. Amenities include free Wi-Fi, complimentary Continental breakfast, a bar and two on-site restaurants. *Read my review, A Stay at the Granville Inn to learn more about the boutique Inn! Other popular accommodations in Licking County include: The Buxton Inn, The Welsh Hills Inn, Orchard House Bed & Breakfast, WillowBrooke Bed & Breakfast, TC Villas at The Trout Club and numerous chain hotels throughout the county (visit https://explorelc.org/places/to-stay/ for a complete listing). Licking County provides plenty of things to do during your weekend getaway. From strolling the historic downtown streets of Granville and Newark, exploring Denison University’s campus, shopping at local boutiques, shops and farmers markets, adventuring in the great outdoors or eating your way through the numerous restaurants throughout Licking County, you might find that you need more than one weekend to accomplish your “must-see & do list” in Licking County! ~Explore Newark. 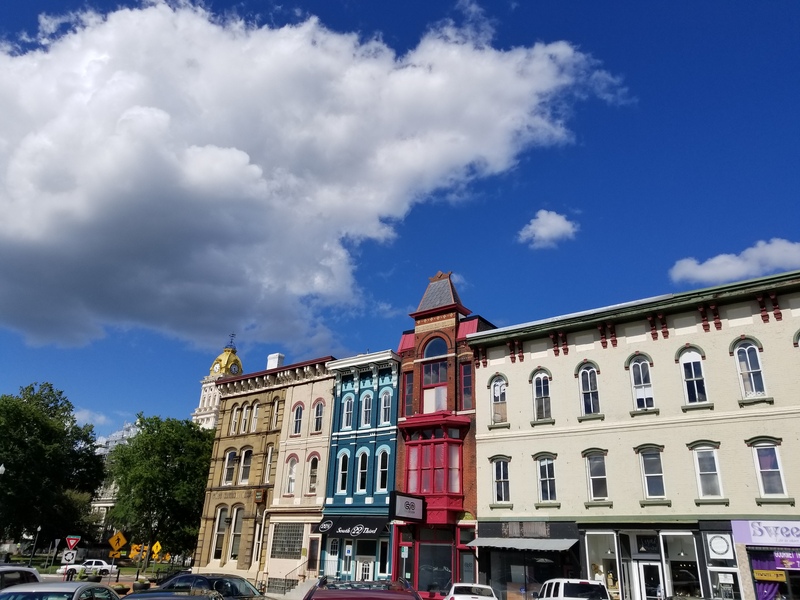 As the county seat, downtown Newark is seeing a revitalization of its historic streets and buildings. Explore the Canal Market District, gander at beautiful huge art murals, dine at local restaurants, sip on a glass of wine at Buckeye Winery, shop at trendy local boutiques, catch a live show at the Midland Theatre or Thirty One West and marvel at the wonderfully restored Licking County Courthouse and other historic building facades (especially the Louis Sullivan Building). ~Explore Granville and Denison University. The charming streets of Granville invites visitors to peruse the local shops, marvel at the beautiful mid-19th century and late Victorian architecture and relax within the New England-style village. Founded in 1831, Denison University is Ohio’s second oldest liberal arts college. The 931-acre campus beckons visitors to admire the historic and modern brick buildings and to stroll through beautiful green spaces. ~Visit The Works. 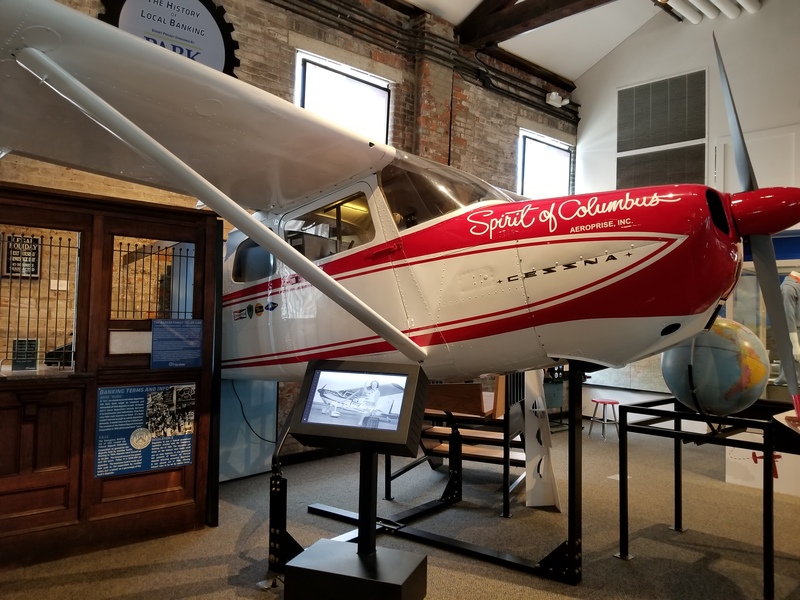 As central Ohio’s best destination for hands-on science, history, art and glassblowing, The Works: Ohio Center for History, Art and Technology is a great place to spend the afternoon. 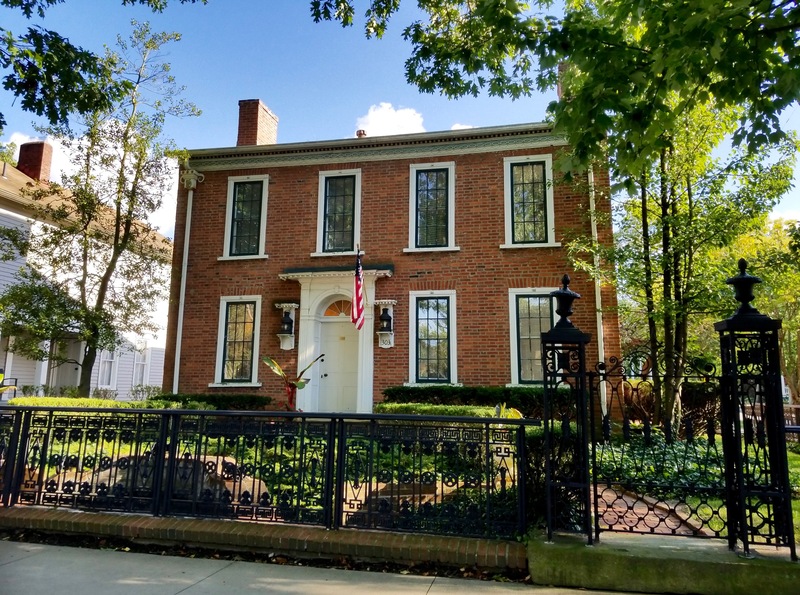 Whether a child or a child-at-heart, The Works offers hands-on learning and explores Licking County’s and Ohio’s historic past. While there, visit the glass workshop which offers public demonstrations, private instruction and glassblowing classes. ~Grab a scoop of delicious ice cream at Velvet Ice Cream. Since 1914, Velvet Ice Cream at Ye Olde Mill has been creating some of Ohio’s and the nation’s most beloved ice cream flavors. Stop in for a scoop or two of your favorite flavor or try one of their yummy inventive flavors. 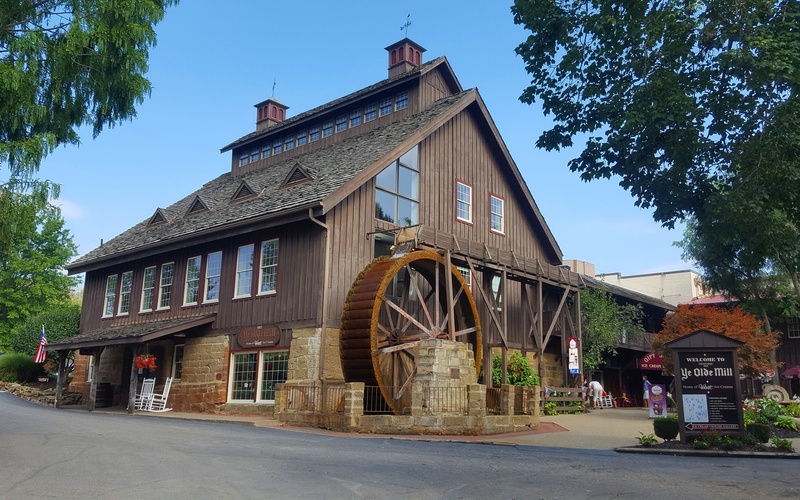 While there, take a free tour to learn about Velvet’s 100-year-old history, explore the site’s 20-acres of walking trails and grab a bite to eat at the Wheel Room Restaurant. *Read about my visit to Velvet Ice Cream at Ye Olde Mill to learn more! 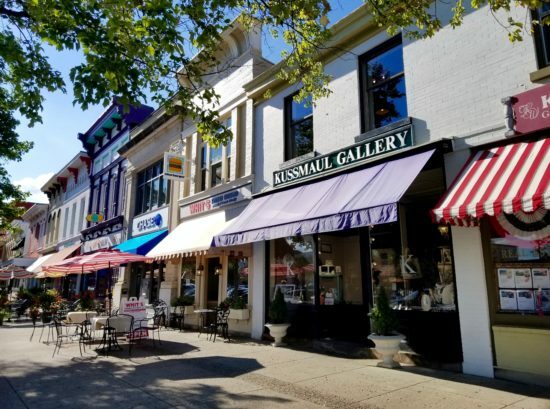 With the influence from community members, talented local artists and Denison University, the importance of arts and culture in Licking County can be found throughout the entire county! 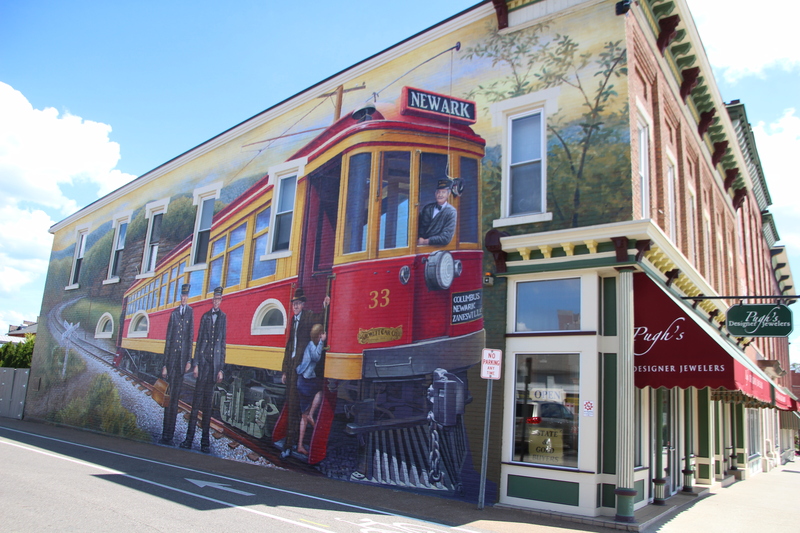 Here are a few places where you can enjoy arts and culture in Licking County. ~Denison Museum features a collection of 9,000 objects from all over the world, with primary strengths in Asia, Europe, North America and Central America. ~Denison Art Space in Newark is a multi-arts center which features a gallery (highlighting local, national and internatioanl artists), two music teaching studios and an artist-in-residence studio. 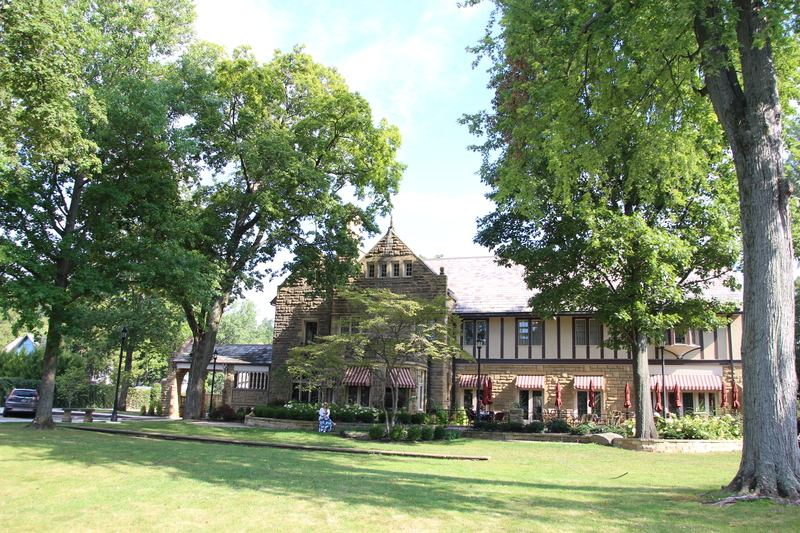 ~Bryn Du Art Center is located on the historic Bryn Du Mansion property. Featuring a gallery and art studio, the center also offers workshops, children programs, and private professional art classes. ~Licking County Art Association promotes community outreach and encourages artists of all abilities. Visit the Licking County Arts Gallery Shop in Newark for locally handmade items. ~Performing Arts, Orchestras and Live Entertainment can be found at The Midland Theatre, Newark-Granville Symphony Orchestra, Sterling Theater, Thirty One West and the Weathervane Playhouse. Prehistoric Native Indians have lived in this region since approximately 100 B.C. and they left behind several ceremonial sites that can still be viewed today. Named after the salt licks from the banks of the river, Licking County was officially established in 1808. Centuries of history await to be explored in Licking County. 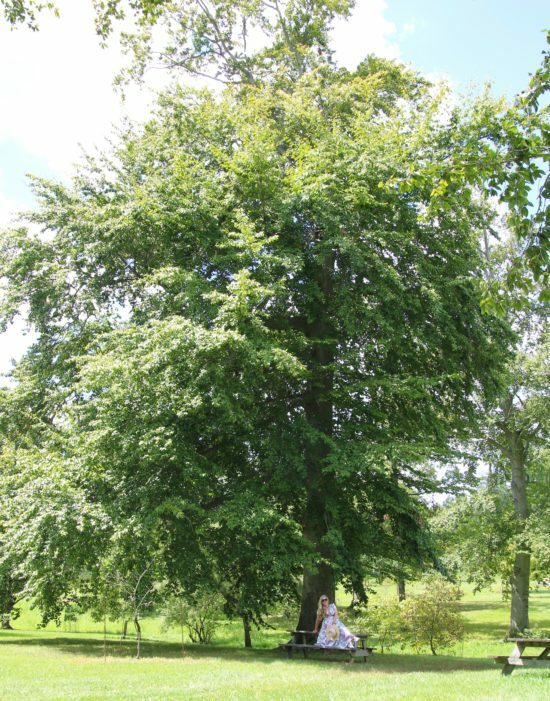 ~ Newark Earthworks is the world’s largest earthen enclosures. Believed to be built by the Hopewell culture between 100 B.C and 500 A.D.; today, three surviving segments (Great Circle Earthworks, Wright Earthworks and the Octagon Earthworks) can be explored. ~Flint Ridge was the site that the Hopewell people quarried flint. Today, visitors can hike through the 533-acre preserve, view flint quarries and visit the museum. ~The historic Bryn Du Mansion sits upon 52-acres estate in Granville. Built in 1865, the mansion has had several wealthy owners whom each added their personal touch to the estate. 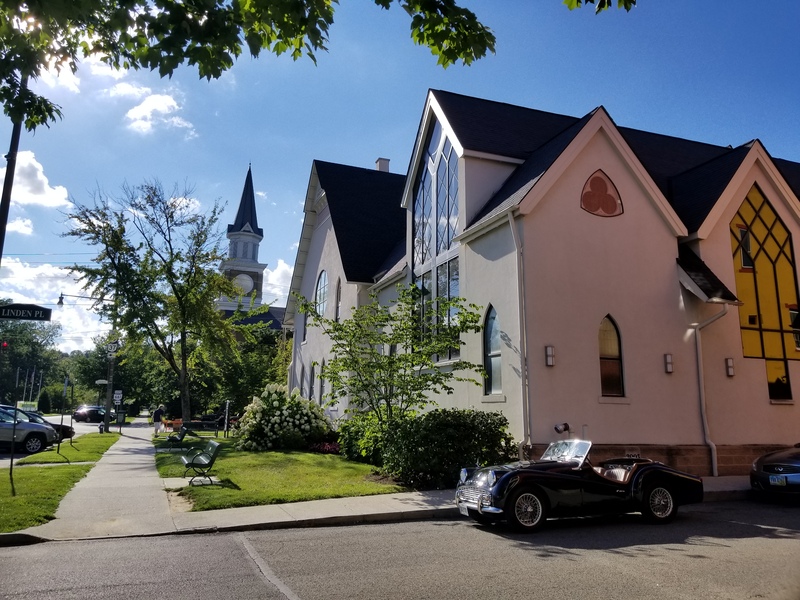 In 2002, the Village of Granville purchased the property and now it’s used for business retreats, weddings, community events, lecture series, trade shows and art exhibitions. 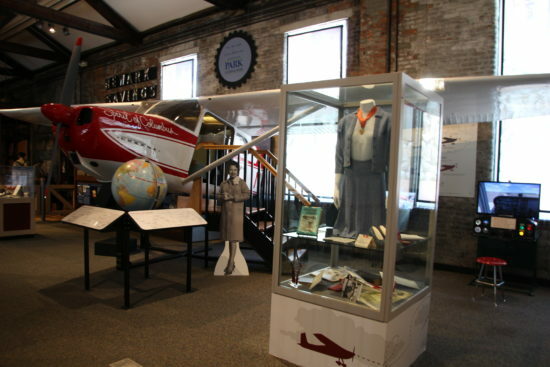 ~Did you know that the first female to fly solo around the world was from Newark, Ohio? In 1964, Jerrie Mock flew around the world, landed in record books and paved the way for future female pilots. To learn more about Jerrie’s global journey, visit the exhibit in her honor at The Works. ~Visit and/or stay at Ohio’s oldest continuously running inn, The Buxton Inn. Established in 1812, the Inn operated as Granville’s first post office and a stagecoach stop. 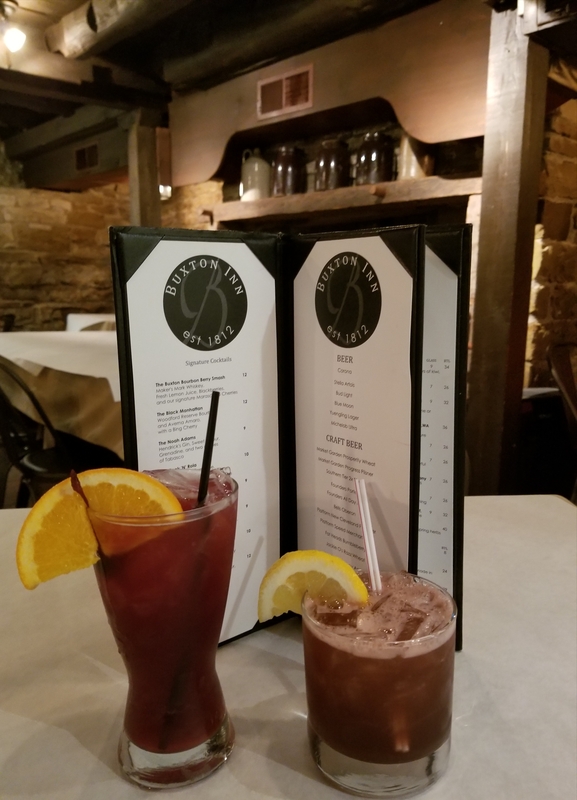 Stay at the hotel (beware of the haunted guests), dine (lunch, dinner and Sunday Brunch) or grab a drink in the cozy historic basement bar. 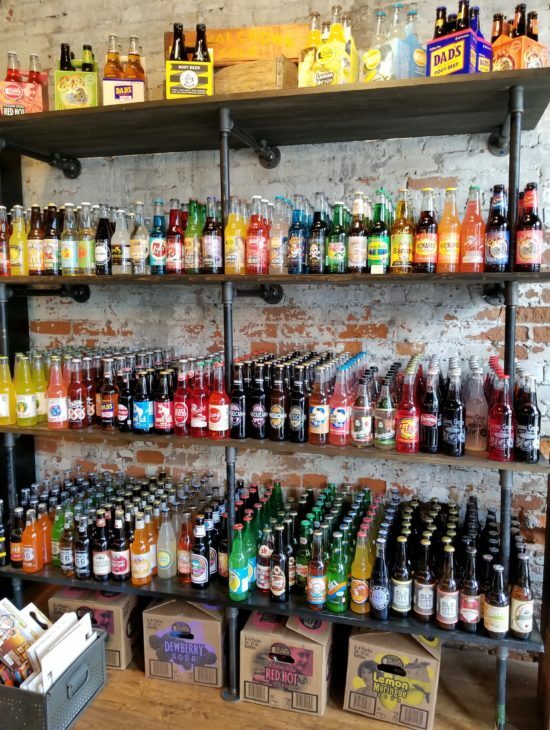 When in Newark check out Market Street Soda Works. Offering over 150 varieties of glass bottled soda from all over the country, local draft sodas on tap and sip on a tasty soda flight! Whenever I’m traveling I like to eat at local restaurants and tend to skip the chain restaurants. If you have a favorite chain restaurant, no problem, Licking County has just about every restaurant you can imagine! 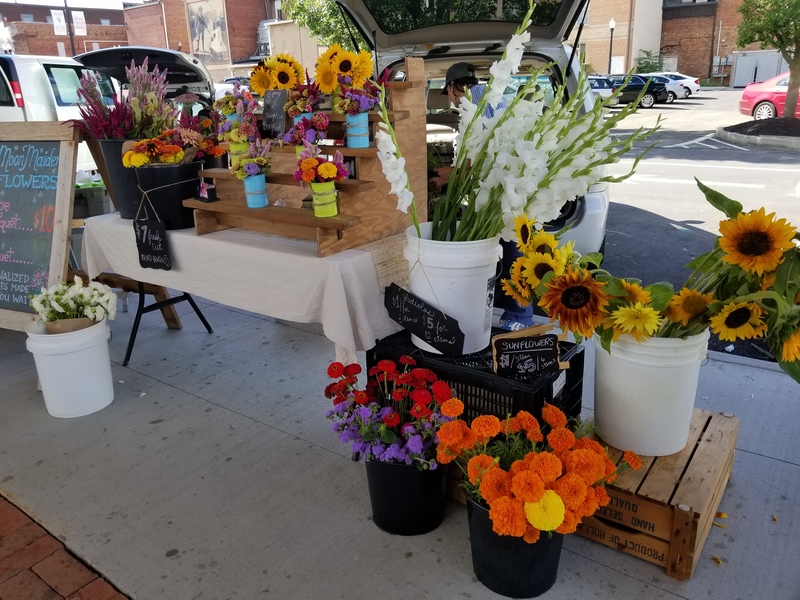 I also like to visit local farmers markets and pick up fresh produce, meat and cheeses. When in Licking County check out the Canal Market District, Granville Farmers Market and Pataskala Farmers Market. Sometimes the best way to unwind after a long day exploring a new place is by sipping on a drink at a local bar, brewery or winery. 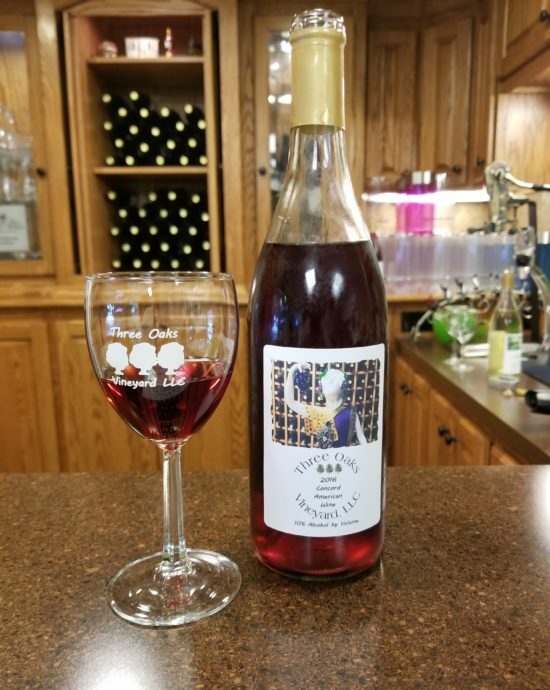 Licking County has plenty of options for nightlife and great places to savor a cocktail, local beer or glass of Ohio wine! 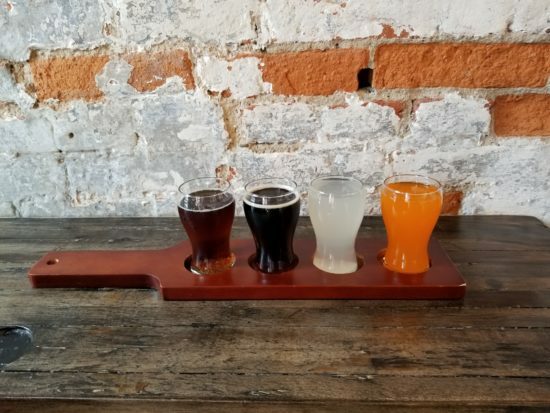 Drink your favorite cocktail or beer and sample Ohio-made craft beers and wines, just remember to always drink responsibly and never drink and drive! Cheers! Central Ohio has beautiful and lush scenery waiting for you to explore it by foot, bike or boat. 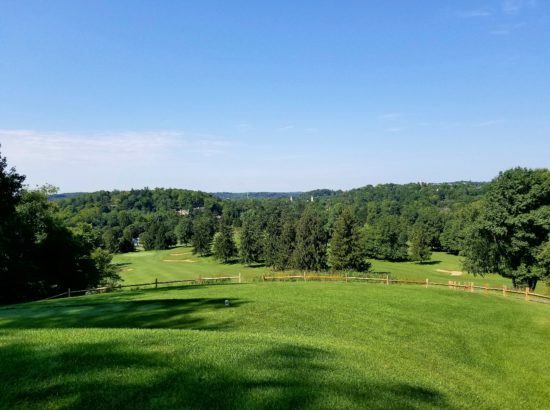 With numerous parks, nature preserves, the Licking River and Buckeye Lake, outdoor enthusiasts are sure to feel the invigorating spirit of the great outdoors! 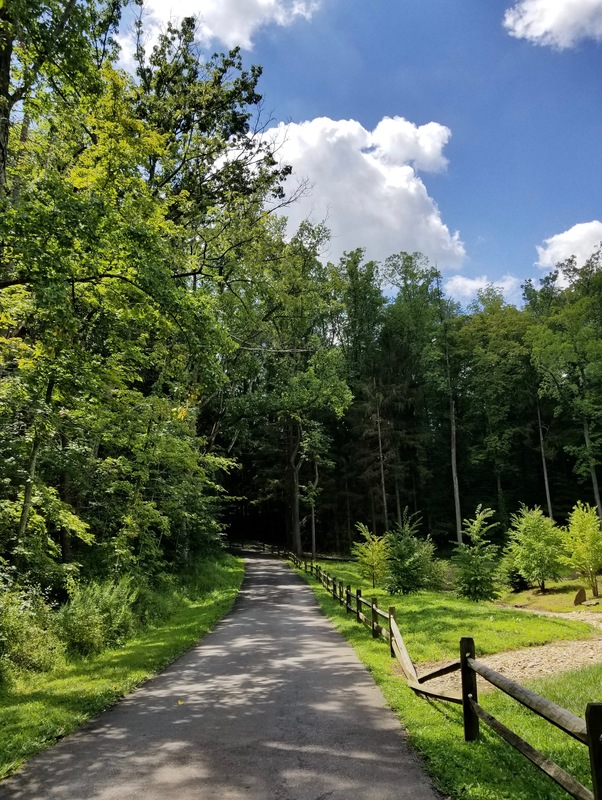 Whether hiking, camping, cycling, kayaking or canoeing, getting back to nature and exploring Ohio’s natural beauty is easy to do in Licking County! With beautiful scenery, vibrant nightlife, a flourishing art scene, historical tours, wonderful Ohio breweries and wineries and great local restaurants, Licking County will delight your senses, entice your taste buds and share its laid-back Midwestern spirit with you…luring you back to explore more of its Ohio charms. Who doesn’t need a weekend getaway every once in a while? 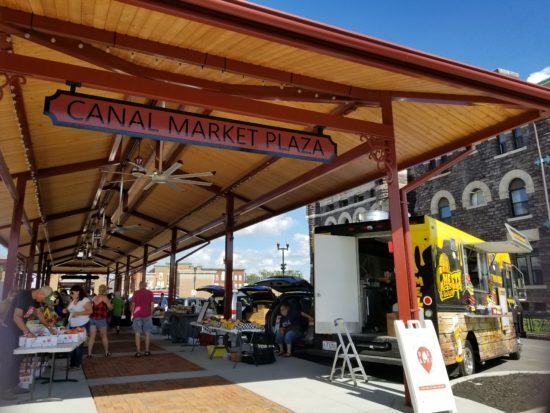 Go ahead, plan your Ohio weekend getaway to Licking County, you deserve it! An Ohio weekend getaway is the perfect escape to drink, eat, explore and shop local! Need more ideas for your weekend escape to Licking County, visit https://explorelc.org. A special thanks to Explore Licking County and the Granville Inn! 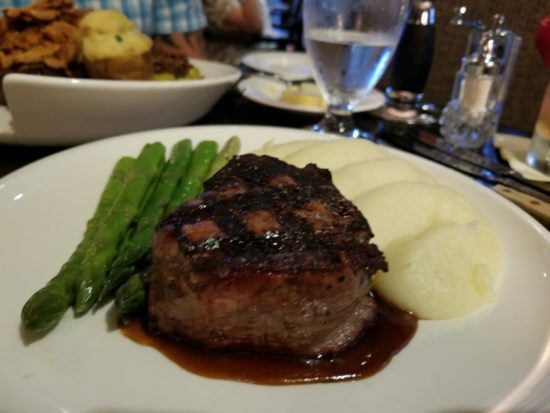 I was an invited guest of Explore Licking County and the Granville Inn. As always on Ohio Girl Travels, all opinions are my own!